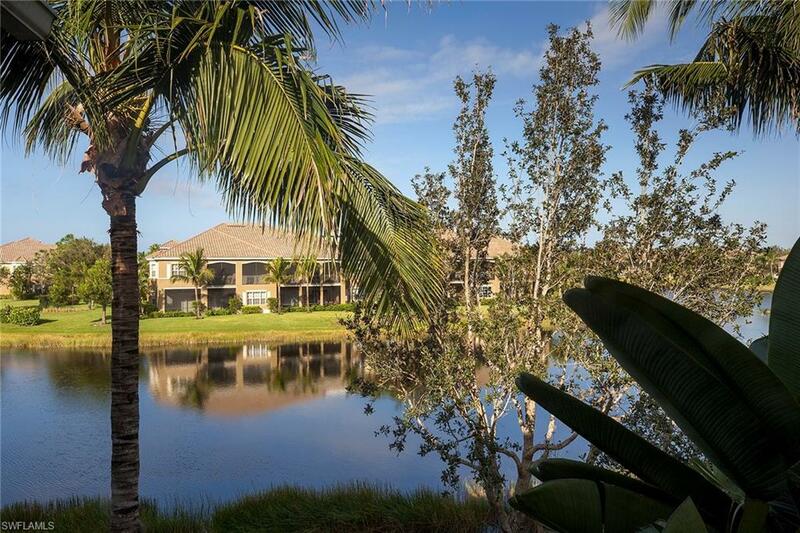 You have finally found your dream Naples home! 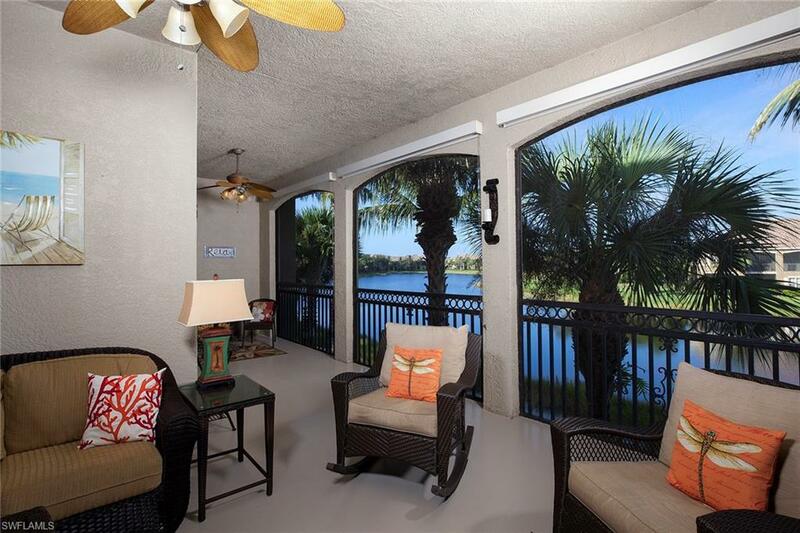 This highly upgraded 2nd-floor coach home offers impressive western exposure lake views to enjoy sunsets while relaxing on your large, private spacious lanai with light filtering shades, over 2,500 square feet living space, 3 spacious bedrooms, 3 full baths and a 2-car attached garage. Furnishings Negotiable. Features include volume ceilings, bamboo wood floors, plantation shutters, crown molding, window treatments, elevator-ready, new air conditioner in 17, new tankless hot water heater in 2017, 2 large walk-in custom closets in master, guest suite with private balcony, a welcoming courtyard entry and a laundry room complete with storage cabinets and sink. Each bedroom enjoys its own private bathroom. The open kitchen includes light cabinetry, granite counters, stainless appliances, bar, refrigerator with icemaker and natural gas cooking. The luxurious master bath has dual sinks, an enclosed toilet, upgraded framed mirrors, soaking tub and shower. 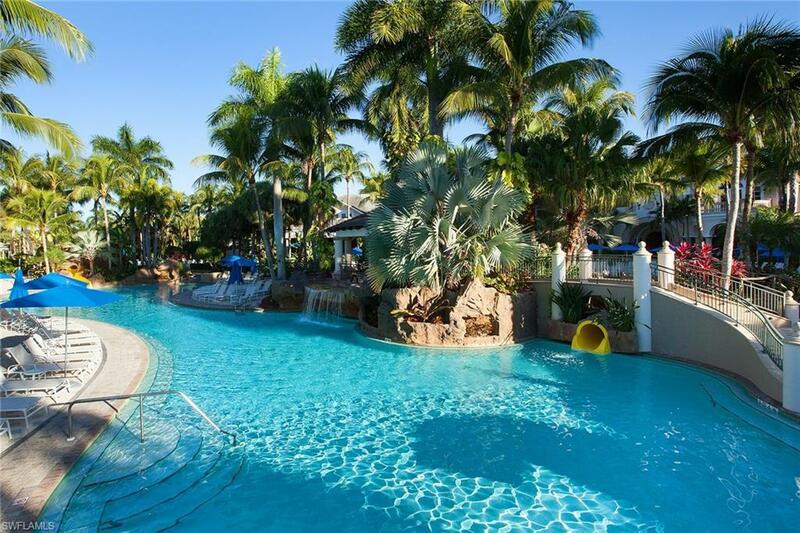 Live an amazing lifestyle including resort-style pools, 2 restaurants, tennis, fitness and an extensive activity/event calendar. Golf and beach memberships are available.